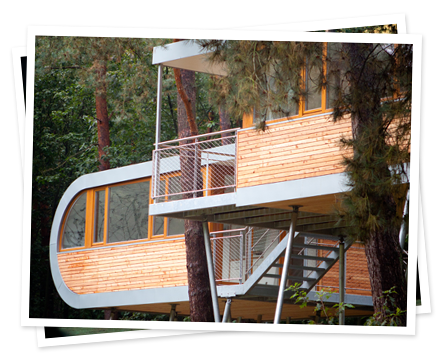 THE TREEHOUSE is a small architectural wonder equipped with state-of-the-art eco facilities located in the forests of Hechtel-Eksel. But above all, it is the ideal place for break-out sessions and meetings where businesses can brainstorm about the importance sustainability has in their company, why and how they can improve to build a better future for the planet. It is the perfect location for scientific research and relevant presentations. Four parties – Sappi, BBDO, The Flemish Forest and Nature Agency and the city of Hechtel-Eksel – joined forces in a unique partnership to stimulate companies, politicians and organisations to embrace sustainability in their daily activities. And all with the same vision: environmental quality and social responsibility for the benefit of people, planet and profit. Dig deep in your childhood memories. Now ask yourself, if you could envision THE most inspiring environment to get away and be alone with your thoughts or friends … what would it look like? Belgium’s greenest meeting room is waiting for you. What’s available in THE TREEHOUSE? Then let’s meet up at the Treehouse! Are you holding a brainstorming session or meeting on sustainability or innovation? Looking for exciting new ways to make your business “greener”? 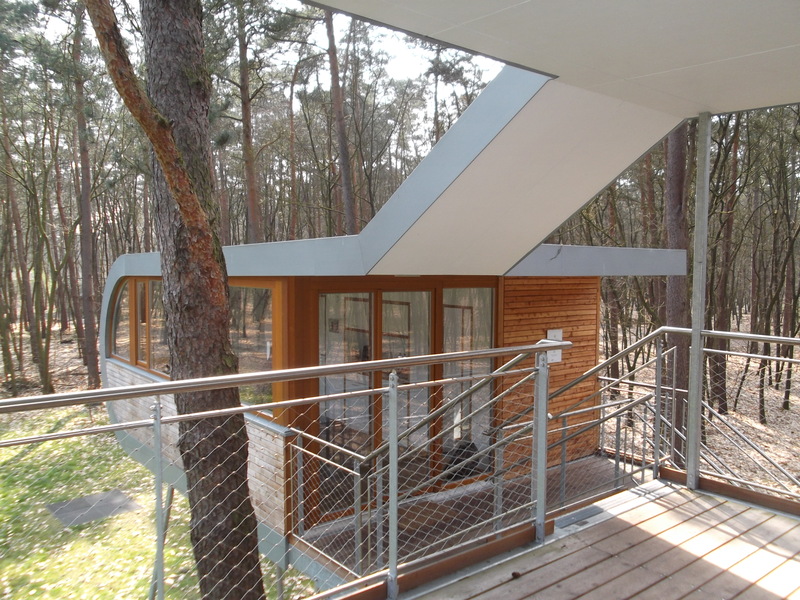 Then our Treehouse provides the perfect setting. What should we prepare for you? For what occasion do you want to book The Treehouse? Coffee, tea and water are included in the standard price. 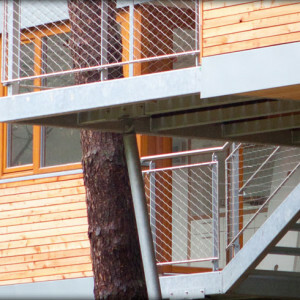 THE TREEHOUSE is a partnership project with both commercial and public partners. Though this is not always the easiest union, in this case it has proven to be a fruitful one. 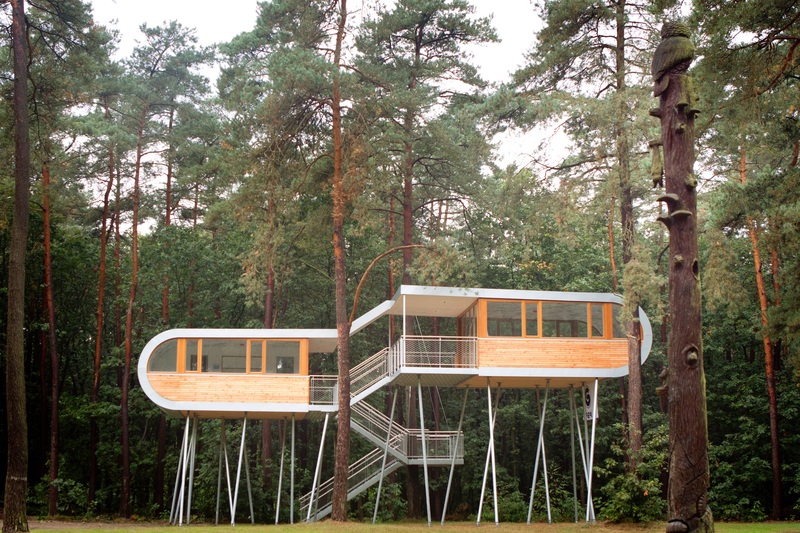 Nearly one year after the first idea, THE TREEHOUSE is a reality. The Forest and Nature Agency focuses on policy and sustainable management with regards to forests, biodiversity and nature. 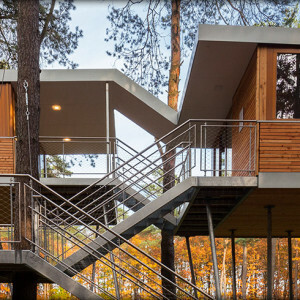 Its mission ‘more, better, together’ perfectly aligns with THE TREEHOUSE concept, bringing people closer to nature. As a global pulp and paper producer, Sappi Fine Paper Europe works with a renewable source: trees. Sustainability is at the heart of everything that Sappi does. With THE TREEHOUSE, Sappi hopes other companies will also walk the sustainable talk. 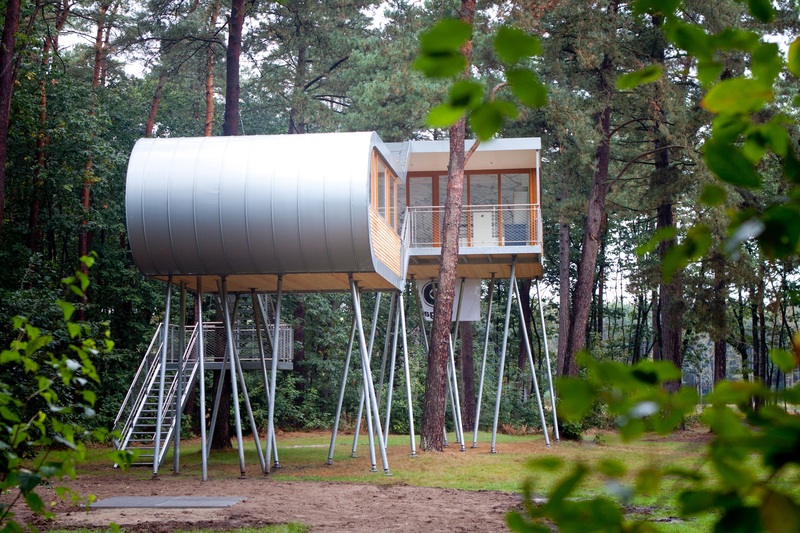 THE TREEHOUSE resides in the woods of Hechtel-Eksel, one of the greenest cities in Flanders. The city immediately realised the importance of THE TREEHOUSE for the prosperity of the local community. 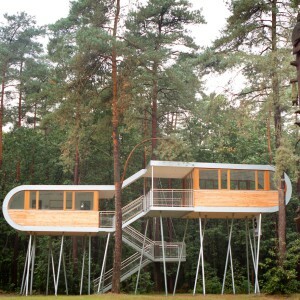 Sappi’s future-proof communications agency came up with the idea of The Treehouse. In the meanwhile, BBDO is a top communications agency in Belgium, they respond to any communication need. No more cold mass-produced products, but heart-warming radiators with soul. Jaga’s vision says it all. The Flemish radiator producer is a trendsetter in innovating design but always integrates sustainability in its thinking. And already for 30 years now. 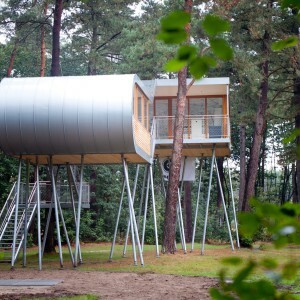 Jaga is clearly the perfect partner for THE TREEHOUSE to deliver its climate system with heat pump. This ultra modern graphical company has produced high-quality printing since 1948. By producing in the most ecological way, Haletra contributes to the environment every day and hopes that thanks to The Tree House others will take this ‘green way’ too. Ahrend wants to develop itself as the foremost innovator in contemporary working, learning and living environments. We do this by listening carefully to our customers, by constantly learning and making substantial investments in process- and product-innovation. As an extension to this, Ahrend wants to be sustainable in every sense of the word. As a partner of THE TREEHOUSE, this will enable us to make an important contribution to a sustainable society. Natuurinvest is the investment arm of The Forest and Nature Agency and a business partner for anyone that’s looking to invest in nature. It organizes the public selling of wood for the ANB and invests in nature to create a better, greener Flanders. 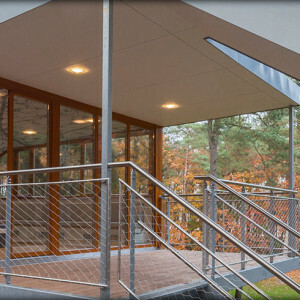 Natuurinvest also provides special buildings and domains from the ANB for concessions and rental of meeting rooms and locations. 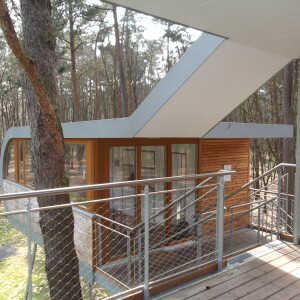 They also manage the communication about The Treehouse.